Contact center technology has come a long way in a very short time. Just a year ago, the emphasis was on omnichannel solutions that provided customers a consistent experience across all channels. While omnichannel isn’t going away anytime soon, the emphasis has now shifted to using machine learning to improve self-service options. 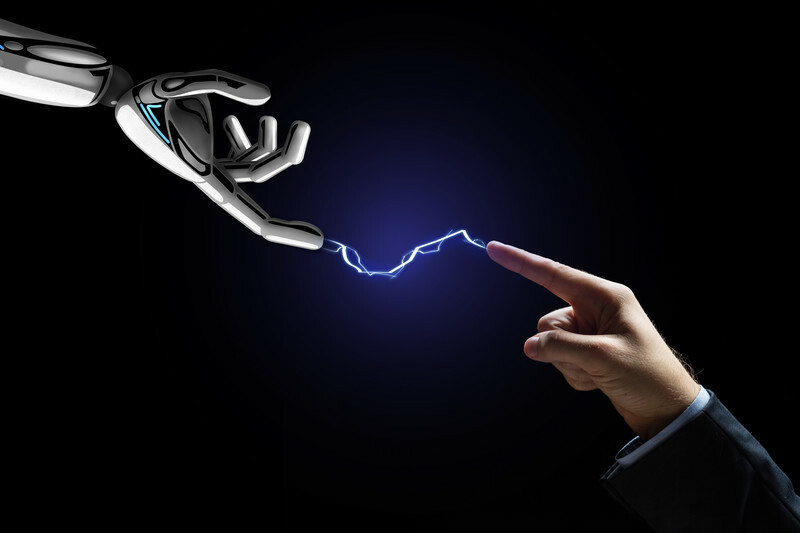 Indeed, the contact center industry is at a forefront of the AI revolution with chatbots and natural language-aware IVRs dominating conversations everywhere. Given this change, we wanted to understand how leading contact center infrastructure companies are enabling the best customer experience today. BLD: Can you give us a high-level overview of the solutions Aspect offers to customers today? Tobias: We are in the market to help enterprises improve their customer engagement, and so all of our products, solutions and services focus around enabling medium to large organizations to effectively and efficiently communicate with their customers. Traditionally that has been all around voice, and more recently it’s been around the digital channels as well and really kind of providing end-to-end service from the cloud. We still also sell our software on-premise if needed. If you look at how Gartner defines the customer engagement center, we have our flagship product which is Aspect Via, which includes all those components, including an agent desktop, contact routing functionality, and self-service over voice and text. Voice can now include things like Amazon Echo and other voice services, and messaging also includes social channels. It also covers the big area of workforce optimization under which falls workforce management, quality management, performance management of your agents etc. BLD: You mentioned that you offer cloud as well as on-premise solutions. Did Aspect grow primarily as a cloud or was it on-premise first and now become a fully cloud solution? Tobias: The answer is actually both because we acquired Voxeo in 2013 which had started as a cloud company in 1999-2000. 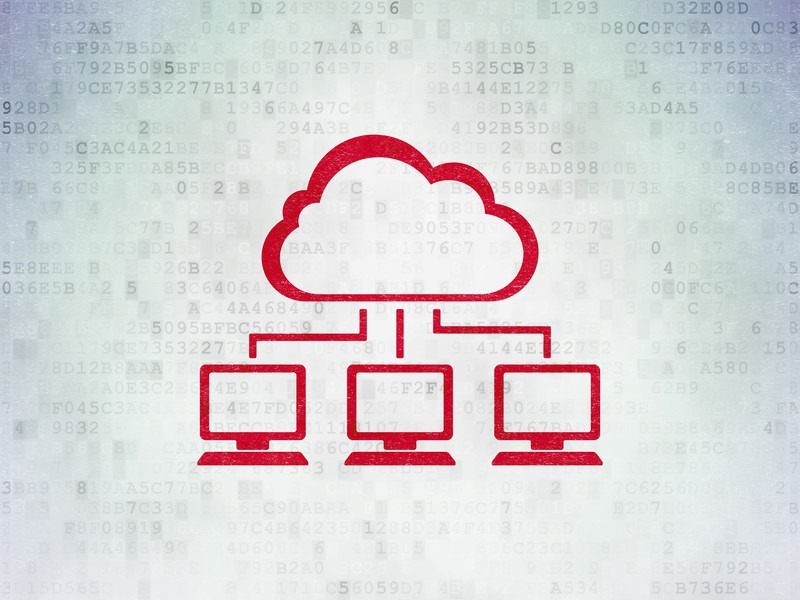 So we were the first-of-its-kind IVR hosting provider in the cloud before it was called the cloud. And then the Aspect side is over 40 years old now. That started as on-premise, powered by hardware solutions; we built the world’s first Automatic Call Distribution system in 1973 for Continental Airlines at the time. BLD: How does Aspect deliver a context-aware omni-channel solution? Tobias: In the late 90s, the concept of browser cookies was developed. Cookies, as you know, are little data packets that reside on the client browser that track user activities. But it is client based, and it’s available only for the one channel, the web channel. We took that idea and developed it further into what we call “Context Cookies”. These keep track of any customer touchpoint on any channel across both self-service and live service. Furthermore, we have a component called the Continuity Server to store these cookies. And then using an API, any system including the agent desktop, your mobile app, your website, your IVR, or chatbot can read and write those context cookies to get and maintain context across channels. I call this the short-term memory, whereas the CRM is your long-term memory about a customer. Whether just a few days back or maybe a few hours or few minutes to provide this continuous experience. BLD: Got it. Perfect. That makes a lot of sense – you’re saving it on the server side so you can access it through pretty much anytime the customer interacts with you, you are able to retrieve and use that context. BLD: Can you speak to how Aspect delivers self-service in a variety of channels such as IVR, chat, and mobile etc? Tobias: This dates back to 2007 when we were working with one of our flagship customers at the time. Together, we realized that customer service really comes down to having dialogues with your customer. Everything around customer self-service or even customer live service is around the idea of a turn-by-turn dialogue. I say something, you listen and you say something and I listen and so on. So this idea of turn-taking is prevalent in voice conversations. An IVR call is nothing but me taking turns with the system, but it’s also present in messaging based interaction. If I text with my wife over SMS, we’re exchanging messages back and forth, but it’s also prevalent in even graphical user interfaces, such as websites or mobile apps where each page could be considered a step in a dialogue of turns, right? If I log into a mobile app, it prompts me for my account number. I type it in, then it presents a menu of options. I select the menu items. It renders the next page and so on. When we realized that this is really the foundation principle, the dialog back and forth, we were able to enhance our platform, which at the time was just voice only and tailor what’s now known as Aspect CXP to become a channel agnostic dialog platform. So one can call it a customer self-service workflow engine that is channel agnostic. We can deploy the dialog as a phone IVR system or an Amazon Echo “IVR” system, or an SMS chatbot or a Facebook messenger chatbot or a web chatbot or as a mobile web resource as well. So that’s the idea that we have this channel agnostic workflow that allows us render these experiences on any channel that can support a dialog. BLD: Can you speak a little bit more about Amazon Echo as a channel? Tobias: Echo, if think about it, is just another conduit for conversations. I say something, the device listens, then it says something and I listen, and back and forth. So for us, it was as easy as building another adapter on our adapter framework to interface with the Amazon Alexa API. So you can take the investment you made into your app and with low incremental effort expand it to newer channels like Echo or Google Home. BLD: In terms of just the ability to recognize speech, how does Aspect adapt to the terminology that is used at a given company and is that an ongoing process? Tobias: If you’re talking about voice bots, which includes both IVR and things like Amazon Echo, there are two steps that need to be taken. One is speech-to-text. So converting the acoustic wave form into the raw text of the words that you’ve heard, and then the second step is to make sense out of those words, you can call that text-to-meaning. So if the customer says, “What’s my checking account balance?”, then you classify the intent as “BALANCE CHECK”, the account type as “checking”, and then you go into the back end, pull up those values. 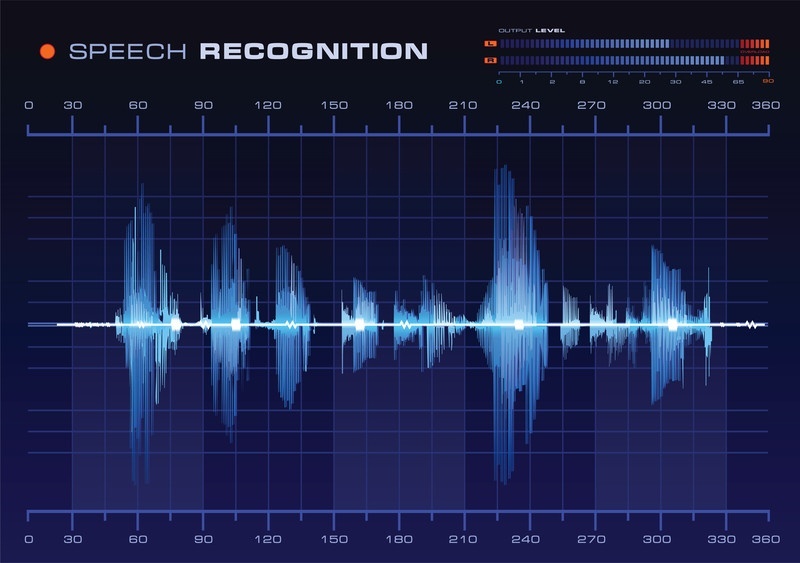 For the speech-to-text part (automatic speech recognition), we rely on industry leaders such as Nuance. For text-to-meaning we have our own engine Aspect NLU (Natural Language Understanding), which we acquired about three years ago and have since integrated into our platform, Aspect CXP. However, we also integrate with the likes of IBM Watson or Microsoft LUIS. BLD: Got it. So in terms of the NLU part of it, let’s say when you go into a new client, for example an insurance company. Do you provide insurance specific corpus that goes in as part of the installation? Or is that something that kind of gets learned over time by a system? Tobias: Our new engine comes pre-equipped with lots of ontologies in different domains. That said, you do have to put manual labor into any AI system. For instance, we launched a wine recommendation bot for a supermarket chain in the UK, and as you can imagine, there’s hundreds of grapes out there. There’s hundreds of regions that make wine in the world. So we could rely on two things there. One was on our linguistic engine that already had lots of knowledge on wine types and food dishes and wine regions. So that it could understand that burrito is Mexican cuisine and things like that. So we didn’t have to do anything for it to know that. But then we had to augment the model and the ontology to add any missing names and missing terms and that is done by our linguists, who we have on staff in our R&D group that continuously improve the language model in our cloud. So everything they add, which happens on a daily basis, every customer that uses our services benefits from it immediately. So you could say the system does get better over time, automatically, but not through unsupervised machine learning, which is always risky specifically in the customer service context. Instead it gets better through expert work which is part of our product. BLD: The second question was in terms of how you classify your offering. You offer a Touch-tone IVR of course, but then you identify a Speech Recognition IVR and then there’s the Natural Speech IVR. Can you speak to how you differentiate between these? Tobias: If you look at the IVR, there are three main forms in how you can interact with it. You can either push the buttons on the phone – that’s called touchtone or DTMF and that is the easiest, cheapest way to build an IVR. Those are the most robust because you don’t have to deal with speech recognition, and a potential point of failure. So it’s the most robust in noisy environments. It also means you could build an IVR in any language. The problem with DTMF is that you are forced to offer your content in the IVR through menus. You have to structure everything in the form of a menu and then you have to announce those menu items which are those dreaded phone trees that we all hate, right? And we hate them because it’s very unnatural for us. We are used to expressing things in plain English. We’re not used to kind of listening to options and then do that work of categorizing what we mean by their options. That’s something we don’t like and we’re not used to us humans. So when you want to improve the convenience of using the IVR service or if you want to expose so many functions through the IVR that it would simply go beyond what you can put into menus because typically you don’t want to put more than five items into a menu and you don’t want to have deeply nested menus either, then you introduce speech where you can now basically have an unlimited number of endpoints and functions for business tasks you can accomplish over the phone or over Amazon Echo by just saying what it is you need. And then with speech recognition, we differentiate between kind of more guided forms where you use maybe a couple of words to explain what it is you need versus free speech or natural language where you basically almost speak like you would to a person and there are some newer technologies on the market now that uses a mix of computing resources and real people to understand those free speech inputs and help the IVR system to have the dialog with the customer. When you have that hybrid form of speech recognition algorithms plus humans that listen to what is being said, then you reach new heights in convenience and capability on this channel. Tobias: At the end of the day, your goal is to provide a great caller experience and a great customer experience. I’m always citing that example when I called my local cable provider here a few months ago. They greeted me by saying, “Thanks for calling in, we notice that there is an outage in your area. Would you like to do a quick modem check?” And I said yes. They already knew that my modem connection was affected. So their system had basic speech recognition. Yes, no, and numbers, things like that. But it was still a fantastic experience because I had to do so little and they did all of it for me. So that’s where the power of personalization and context aware service really, really shines. And that’s something that we provide with our platforms, make it really easy to build. And then with our designs and bring to life. BLD: Aspect is on the cutting edge of customer experience management, but so is some of your competition. In terms a differentiator between you and your competitors, what makes Aspect stand out? So there’s a certain technology superiority within the platform simply because it is so sophisticated and so mature. If you combine that with our professional services, which is all about industry expertise and having built many of these systems together with our partners, then you get the best of both worlds. You can have the best technology in the world, but if you don’t know what to do with it, you’re still building poor solutions. So you combine superior technology with our experience in building these solutions that work plus the creativity that we show with, with new innovative such as Visual IVR or the idea of combining the SMS channel with an IVR where you can text things to the IVR in cases where speech recognition is a challenge, for instance, with names or addresses and things like that. Bringing all that together as a package is what makes us stand out. BLD: In terms of integration with other providers, is Aspect able to, or is it a single packaged solution? Tobias: Aspect is very modular. A customer can decide that they just want an IVR app for instance, and they wanted it done turnkey. So we go in and do discovery and then we work with the customer to make it great. A customer could decide to purchase the platform itself and then get trained on it so that they can build their own applications over time and improve those and build more and more use cases. A customer can decide to purchase our entire customer engagement center, which includes the agent desktop and the routing and queuing as well as the workforce management. Or they can again go modular and say we just need an agent desktop right now with some basic call routing and then later we want to add work workforce management or call recording, etc. So it’s more an approach where they can slowly grow with us and use more and more over time, but they don’t have to purchase everything at the get go. BLD: This is great for basically, let’s say legacy CCT, Avaya or something like that. They can integrate an Aspect IVR with an Avaya desktop and then over time replace it completely with an Aspect Solution or other solution. Tobias: Yeah. That’s one avenue that you can take. You can even go further and say you can keep your Avaya voice infrastructure or your Cisco. And even if you can keep your Avaya, Cisco, or Genesys IVR and you can just put the CXP application server in and benefit from all those advanced features such as personalized self-service, new channels like Facebook Messenger, or SMS. You don’t have to replace everything to get started with Aspect. BLD: How does a customer go about figuring out how effective or how successful an Aspect solution was? Specifically, in the realm of self-service? Tobias: What many people don’t know is that the Aspect product was originally designed and architected by a German company. The founders of that company were all from MicroStrategy, a business intelligence firm. They all had this enterprise BI thinking when they started this product. So from the ground up, we’ve architected reporting and analytics into the platform. Today, we have a very comprehensive suite of reports that come with the platform – over 50 pre-built reports that answer questions from three main groups. One group is the designers that designed the IVR, the voice user interface and things like that. They want to know how well callers accept the prompts, the messages and the answers. The second group is system administrators that want to know about system performance, and maybe bottlenecks with back-end access etc. The third group is the business that wants to know whether KPIs are being met, the success rates and completion rates at business tasks that the IVR or the chatbot represents. We have all those reports baked in, and you can look at the data at any granularity by filtering and slicing and dicing to really get a thorough understanding not only of the technical operation, but also whether customers actually find their way around in it, do they successfully complete the tasks when they call in or text us or talk to the chatbot. That gives our clients deep insights and lets them make educated decisions on how to improve an application once it’s deployed. BLD: But what are your thoughts on just the whole notion of omni-channel today? Everything hops across channels. So how does one go about measuring first call resolution (FCR) or average handle time (AHT). Has Aspect addressed this issue yet? Tobias: Well, I think the entire industry is trying to rethink some of that, right? The metrics and APIs need to change in today’s world. There are some forward-thinking companies that are no longer saying – “I’m measuring you, dear agent, by how long it takes you to be on a phone call with a customer” because that’s a poor metric. At the end of the day, we’re seeing a paradigm shift from the contact center being a cost center to a revenue center and customer retention center where if you provided a great experience, you add to the bottom line of the business and in that light, there’s no point in AHT and those metrics. At Zappos, an agent won an award for an eight-hour call with the customer. That’s insane to think about it. But by serving customer right, by really having an ear and an eye out for what they need, we can design the right metrics. BLD: Any closing thoughts for us? Tobias: At Aspect, our engagement is much more of a consulting engagement at the beginning. We do customer journey mapping with the client to understand how customers are interacting today throughout the entire journey. Based on what we understand about their business, we help them craft great journeys that use technology at places but also the human touch at other places and then track how well the solution is working. That’s where it’s important to consolidate data sources. There’s a lot of system integration needs to happen. And it’s only getting more and more complex in terms of data items, right? Where ultimately you can only survive by embracing approach like machine learning and neural networks that you train on patterns that emerge from these touchpoints to ultimately predict customer behavior. We’re also doing some of that on our workforce management side where we’re looking at training a machine learning algorithm on detecting patterns of behavior of agents to make sure that we know if an agent is at risk of leaving the company. BLD: Tobias, this has been a fascinating interview to say the least. Thank you so much for taking the time. Tobias: All right, thank you. Thank you so much. Take care.